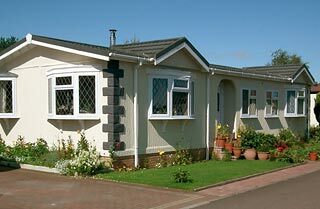 We offer a choice of award winning quality Park Homes for your retirement or semi-retirement, as well as attractive sites for locating your own park home. The park is developed to a very high standard and we take great pride in the environment for you to enjoy the ultimate in tranquillity. Park Homes are designed for retirement homes or second home living and look like traditional detached bungalows... spaciously designed and attractively built. The homes are available in a wide range of different sizes and floor plan layouts. Modern Park Home manufacturers make the new homes as comfortable as possible. To begin with, all new homes have double glazing, plywood floors, central heating, high levels of insulation and a tiled roof as standard. 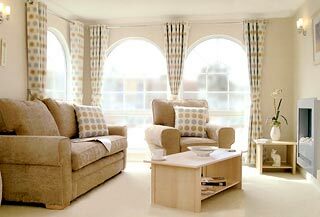 There are extensive ranges of interior fittings and furnishings to choose from, including exciting ranges of colours and fabrics in curtains, carpets and furniture. Annsmuir Park Homes Estate is situated in a quiet country park on the North side of Ladybank in the beautiful Kingdom of Fife. View our park homes available for sale now. If you have any questions, please do not hesitate to contact us on 01337 830 551 or email.